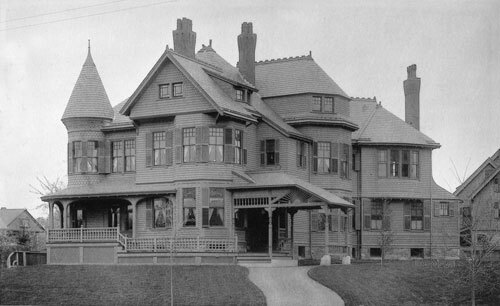 Home of Jacob P. Bates. No longer standing. From: A Collection Of Thirty-Five Prominent Residences, Public Buildings And Churches Together With A Short Historical Sketch Of Brookline. Illustrations In Photo-Gravure From Photographic Negatives By Chas. H. Currier.